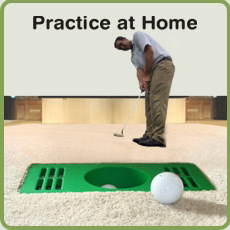 Get Your Own Indoor Putting Green to Help You Practice Your Putting at Home! Putting is a huge part of the game of golf. It accounts for almost half of the shots in a round of golf, yet, most people don't practice this part of their games. Now, there are no more excuses! 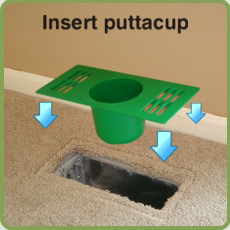 With the puttacup, you can practice your putting into an real indoor golf hole! Now, when I say a real indoor golf hole, it is only 4" in diameter instead of 4"1/4 so really, it's just like placing a golf putting ring inside the cup to make it smaller. The advantage of this is that while you practice your putting at home, you are practicing into a cup that is a little smaller, so once you get out onto a real putting green, the actual hole will appear much bigger. If you're serious about practicing your putting, the puttacup will allow you to create your own indoor putting green. 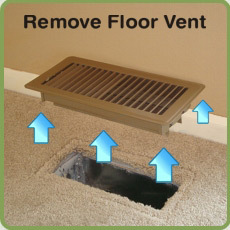 Don't Have a Standard Sized Floor Vent? No Problem! You Can Build Your Own Putting Green. Over the years, we have had a few people who have wanted to purchase the puttacup indoor practice putting aid. Unfortunately, they live in a home without a standard sized vent or no vent at all. To remedy this problem, one person actually cut a hole in his floor. While we don't recommend doing this, we do recommend you follow our instructions on how to build your own indoor putting green. This way you can still use puttacup to help you practice your putting indoors. Please visit this link if you would like instructions on how to build your own indoor putting green. Copyright © 2018 Paul Wilson Golf. All Rights Reserved.